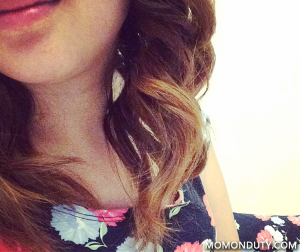 Want to go out with pretty styled hair but don’t have the budget for salon-styled hair? Why not invest on your own styling tools! 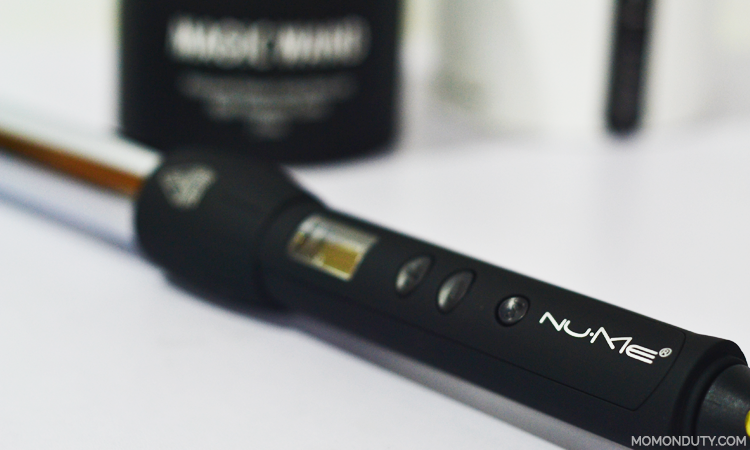 Make a bold statement with your curls using the NuMe Magic Wand. Made of 100% pure titanium, it boasts of unrivaled heating capacity that can create beautiful, long-lasting curls. I had my hair permed back in 2009 and the husband keeps asking me to have it done again. If it isn’t difficult to maintain, I would have done it again. But with the minis around and no nanny, I don’t think I have the time to prep my hair every single day to keep it beautifully curly. But what if you want curly hair for a special occassion? Or even if you want to go curly for the day just because? I’m super lazy when it comes to fixing my hair so I always end up with a ponytail or a bun. However, with my new gadget, I just can’t stop myself from getting my hair done. The curls are long-lasting (my curls stayed until I washed them the next day–could have stayed longer if I didn’t wash my hair). I had small curls soon after I used the Magic Wand. But, as soon as the curls settled, I had big, beautiful waves. Love ’em! Before anything else, make sure you brush your hair dry to remove any tangles. Use a good quality heat protection spray to minimize damage. Section your hair using clips. What I did was I divided my hair in three big sections and worked from the bottom going up. Wait for your curling wand to heat before using. Give it about 2-4 minutes. When it’s ready, put on the glove that goes with the NuMe Magic Wand on the hand you’re going to use to wrap your hair around the wand. From one of the NuMe Magic Wand tutorials I watched, it suggested that you keep your hair wrapped around the curling wand for 10 seconds before pulling them out. Don’t let it drop off your hand right away! Keep the strand in your for another 10 seconds to cool then let go. Once you’re done, you’ll notice that your curls look rather tight. To finalize your style, run through your curls with your fingers to break them up. Would I recommend the NuMe Magic Wand? Most definitely! This is perfect for hair enthusiasts who can really “work it” AND great for newbies like myself. It’s easy enough to use and creates salon-like curls. it would be awesome to have curly hair from time to time, good thing we can now easily curl our hair with this magic wand! Magic, indeed! What a great way to hype one’s look in less than 30 minutes! I’d give it a try sometime. Cool! I love big, bouncy curls! Got to check this out. I love the curls on your hair. I should try this one. Will definitely tell this to my girlfriends. Thanks for sharing. I’ve been meaning to try this since the first time I saw this in Youtube. This is the perfect time, 50% OFF yey! I love curls too! Looks like a great product! This sounds like a great tool for hairstyling. My sister would love this. Thanks! Get one for yourself! I’m not the best at putting make up on, so I make up for it with nice hair. Lol! oh will it work on oily hair? 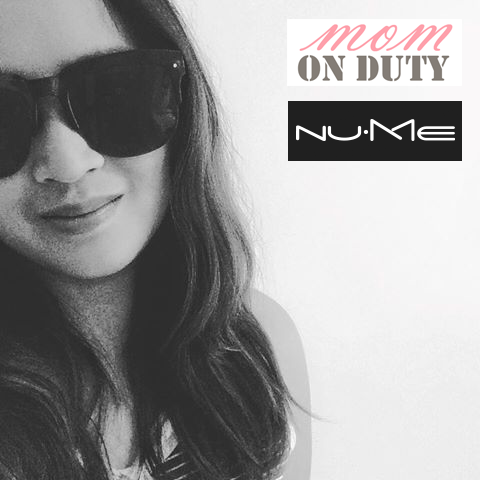 Hi Iris, NuMe is highly recommended for hair that’s hard to curl. Try spraying heat protectant spray on your hair first then use the NuMe Tourmaline Infused Curling Wand. Hope this helps! Wavy na my hair, gusto ko straight! 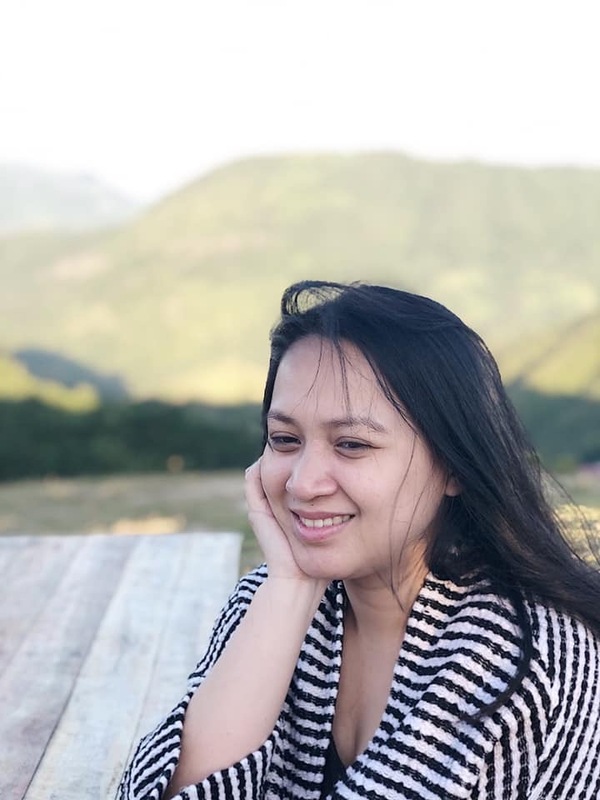 Hihi..
sayang 🙁 i just had my hair chopped because i cant even brush my hair with a four-month baby always in tow. nway, will make a note in my journal to buy this kind of magic wand when my hair gets long again. i love my hair when all curly and bouncy. Thanks for dropping by! I know, right? If I knew about this earlier, I wouldn’t have chopped my hair short back when my son was a little one.